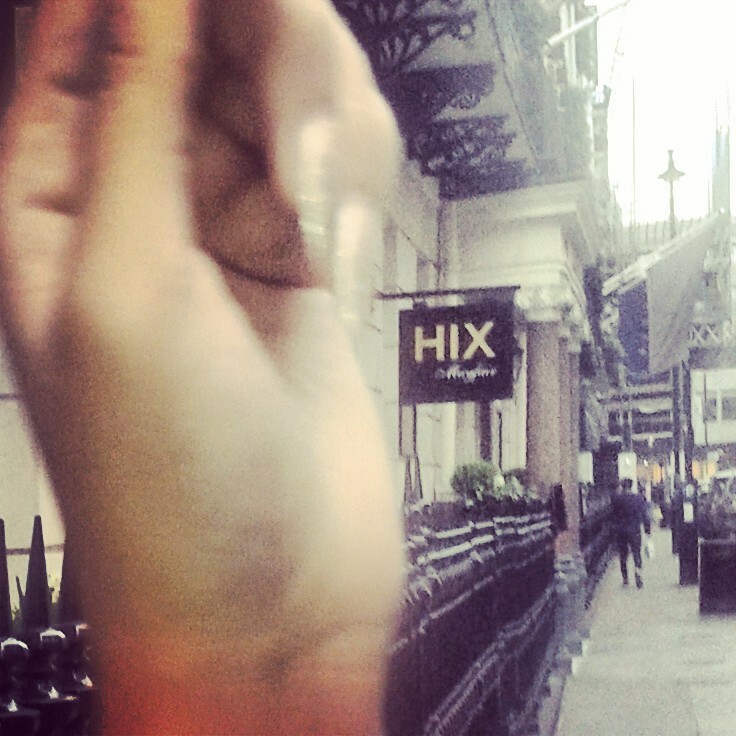 Hix sounds like a fancy name for a restaurant, and it is. Mark Hix's restaurants are known across London for being cool, yet fine dining venues, so naturally when I met up with my friend in Mayfair, it was a no-brainer when she asked where I'd like to lunch. Hix Mayfair is housed in Brown's hotel, so instead of it being its own restaurant, you enter a hotel and Brown's has a British, aristocratic air. The restaurant is to the left of the entrance, and has a rather grand reception. I would recommend making reservations, but we didn't. Thankfully it wasn't very busy, save for about four cloth-covered tables, which helped us secure a table. As soon as we sat down we ordered some water, but my friend had a sore throat, so we asked if we could have some hot water and lemon. It wasn't a problem, and we were both presented with our own silver teapots, teacups and saucers and two jars of honey, replete with a spoon for the honey and a spoon to stir it in. The waiters gave allowed us about 15 minutes before they asked for our orders because they could see we were in deep conversation. When they returned with a smile (and without a notepad, impressively), we decided to forgo starters and get mains instead. I ordered the chicken salad with a Burford egg whilst my friend ordered the fish and chips. Before we were served our mains, one of the waiters brought over a basket of freshly-baked wholemeal bread, which was warm and soft as a cloud. You know when you can smell that the bread has been freshly-baked, just for you? That's exactly what they do at Hix and it was more than appreciated. Served with a perfectly circular round of butter, I applied lashings of bread on two slices, which soaked up the butter like a thirsty dam. I never was lyrical about bread, but it was soft, and biting into it was divine. My salad looked impressive, but unfortunately, it looked better than it tasted. The chicken lacked in juiciness and flavour. It resembled strips of mackerel and was quite dry. 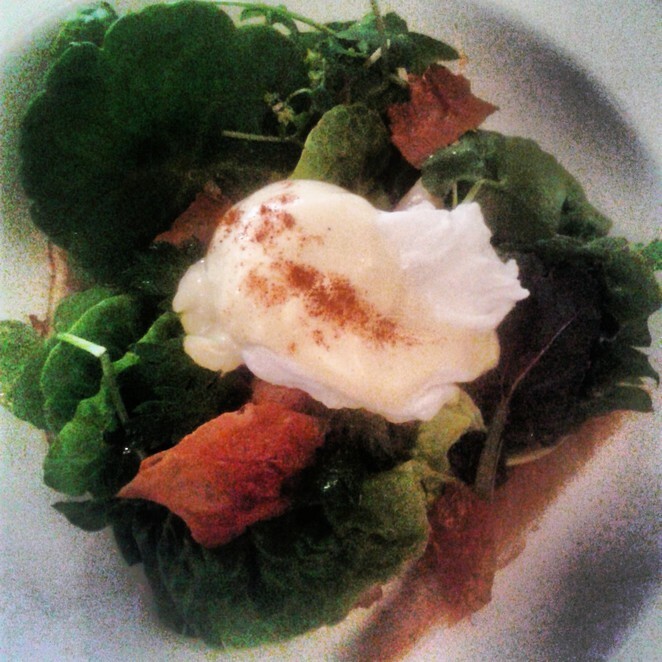 But the saving grace was the crowning poached egg (who'd have thought?). The egg was poached to perfection. There aren't many places which get the texture right (I like it slightly runny, but for the most part hard) poach to perfection - medium poached. 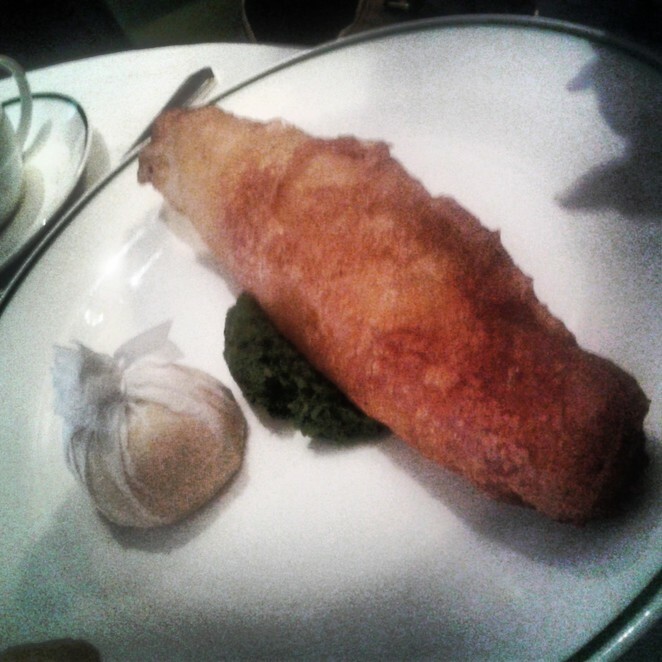 My friend enjoyed her fish and chips, but she's not a fan of mint, so she wasn't keen on their crushed mint pea puree. I however, loved it and scooped it up with another slice of bread. We also ordered a side of spinach, which was fine, but it was a little under-seasoned for my liking. Once we'd paid they served us four dark chocolate dusted truffles, which were rich, indulgent, and finished off the meal well. My friend ordered a glass of sweet rose, although dry they offered to sweeten it with syrup, which my friend enjoyed. In terms of atmosphere it was very relaxed, anchored by the booth-like seating and several plushy cushions which we reclined on. 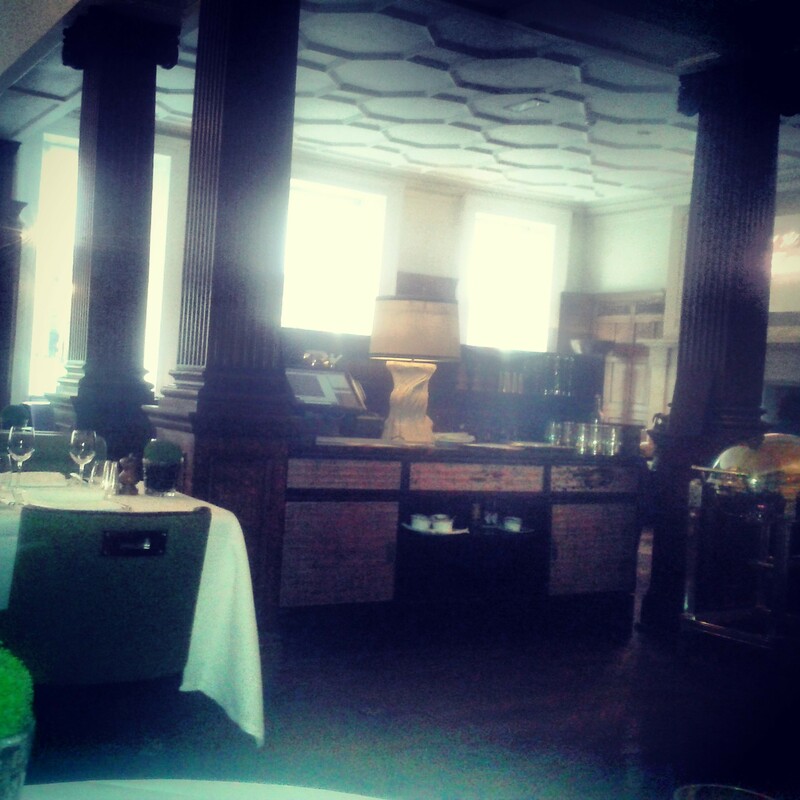 The restaurant is in a large room, with wooden floors, pillars and with large windows. I would say it's an adults-only venue, however we did spot a family on one table, with a a newborn. Considering the price I thought my food would been nicer, but friends meal was great , which came with a full tub of tasty fat chips. Definitely make a reservation if you're dining at night. However, visiting (even on a Saturday), afternoon it wasn't busy, and it was the perfect place to catch up. Service was on point, attentive, topped up as and when, didn't loiter annoyingly, they bought us more hot water, lemon and honey when we asked, and asked if we'd like a taxi once we'd finished our meal. From start to finish Hix impressed.